There is a velvet block at the end of the interior of the case, and this piece varies in length depending on the pitch of the flute. 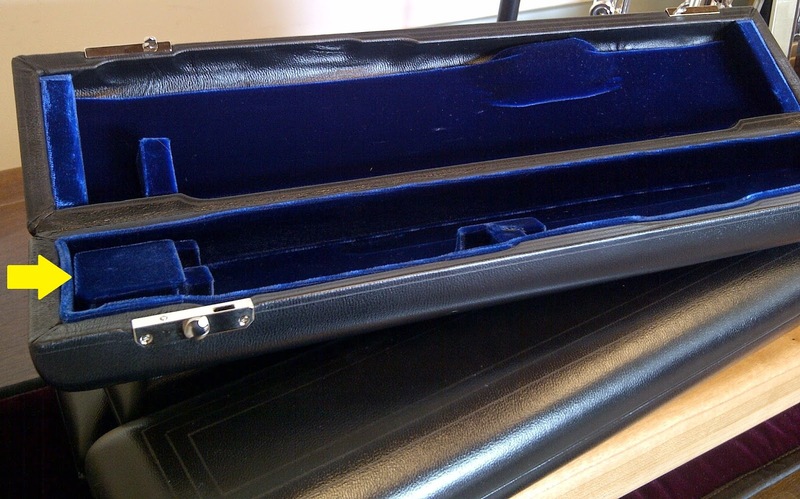 The velvet block in a case for a flute pitched at A440 is slightly shorter than the block in a case for an A442 flute. Why is this? Well, the block is there to hold the main section of the body in place. A flute pitched at A440 has a body that is just slightly longer than a flute pitched at A442. That being said, the block inside the case will be shorter for an A440 flute to accommodate for the slightly longer body. It's not a very big difference, but it is important. So, if you need to order a new case, make sure you know the pitch of your flute! Most will be A442, but it might be A440, especially if it was made before 1983. 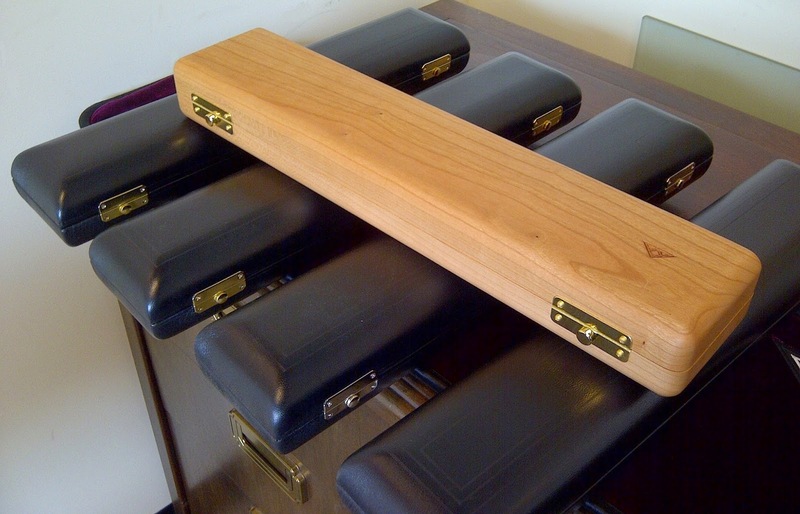 And, if you do need to order a case, they are available through the VQP Shop at https://powellflutes.com/vqpshop/flute-cases. You'll notice that for the cherry wood cases and leather cases, there is a reminder to indicate the pitch of your flute -- and now you will know why! Yellow arrow points to the velvet block. Close-up on the velvet block. Where can I purchase an A440 case for a Powell flute from the 1960's (serial number 9622)? You should be able to order it online through the VQP Shop and indicate in the "order comments" section that you have an A440 flute. You'll find this section at the bottom of the form at checkout.